Update: Since writing this, Chrome has become much more usable, so you can use Chrome for up/downloads if you wish. From time to time I am asked by, literally no one, about what gear I use when I go on extended geocaching trips. In response I am listing a new setup I have for handling my geocaching road trip tech needs. Note that this post assumes a certain level of technical knowledge, so if the phrase "USB host port" makes your eyes gloss over, you may want to skip this post. Everyones preferred caching tech differs. 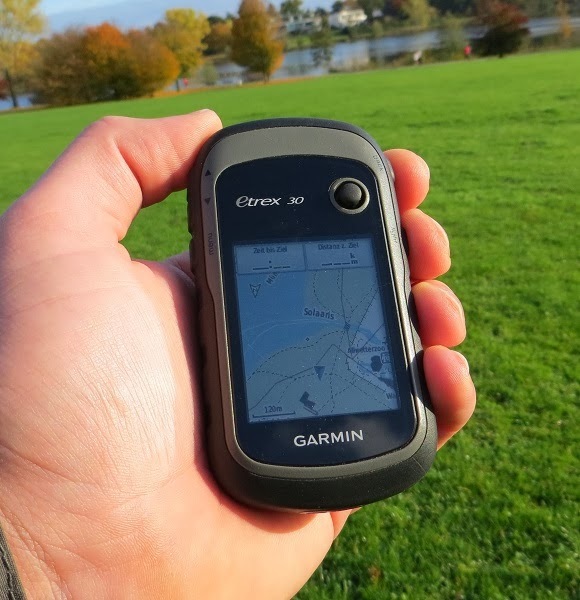 Some are happy using cell phones; as for me and my house, I use a GPSr (Garmin eTrex 30) for my main caching. I often bring along a laptop (MacBook Air) to do cache trip planning. Normally the laptop stays in the van but occasionally it comes with me into the field (especially when in areas where car break-ins are common). Although this gives me everything I need in the field for pretty much any geocaching related tech need, it has some drawbacks (heavy, short battery life on the laptop, and not super field rugged, not to mention very expensive). I have finally come up with a good solution for my geocaching tech needs using a Nexus 7 tablet, and some handy apps. This allows me to leave the heavy laptop and home and bring the much smaller and cheaper tablet into the field (not to mention the battery life is 4x that of the laptop, and it has a GPS built in). My needs for my in-field computer are as follows: Generate PQs from geocaching.com, download PQs to the GPSr, upload field notes from the GPSr to geocaching.com, and display PQs and offline maps in an app that doesn't make me go all stabby. The Nexus 7 running Android 4.4 (KitKat) has certain design and use-case assumptions that are (not to be overly harsh) idiotic. As a result it supports almost none of the features I require out of the box. However with the right applications, and a special USB cable, I was able to make it all work. My preferred Android browser is the stock Chrome browser that comes with the device. It works great for accessing geocaching.com, but completely drops the ball when it comes to the ability to upload or download files (it can download files, but it puts them in a random spot on the drive, which makes it hard to access later - not exactly helpful). So I use Firefox for downloading PQs, and ES File Explorer for unzipping those files and saving them to a known folder on the local device. The Nexus 7 cannot access USB drives natively, and it doesn't have a USB host port. I work around this by using an OTG cable to connect my GPSr to the tablet. I use the Nexus Media Importer app to copy files to/from the GPSr to the tablets local filesystem. This works very well, and doesn't require rooting the Nexus 7, like some other options require. This setup allows me to copy GPX files to the GPSr, and copy the field notes file from the GPSr to the local filesystem. Another design decision employed by Android is the lack of a native file manager (more raving lunacy! ), which seems to cause Chrome to utterly fail at uploading files to websites. Firefox, however, has its own file manager built in (brilliant! ), so it can upload files with ease. So I use this to upload field notes from the Nexus 7 filesystem to geocaching.com. I was using Cache Sense for an app. It works well, except its management of offline maps is poor - it can take days to download larger sets of maps, and once it does, one has zero control over them. I tried some other apps which all had issues of one kind or another. Then I discovered Locus Pro, and its geocaching plugin, geocaching4locus and my world became a brighter, happier place (truth me told, this app was actually the thing that prompted me to think that a tablet may actually work as an Android based geocaching device that wasn't full of fail and hate - turns out I was right). Locus Pro is, hands down, the best geocaching app I have ever used, probably because its primary purpose is not geocaching, but rather a feature filled map app. All the geocaching stuff was added in later. It has all the expected features of a geocaching app (displays cache descriptions, loads PQs, uses the geocaching.com API for live queries and logging etc.). It also has an amazing offline maps management system. It takes a fraction of the time other apps took to download maps, and once downloaded you have complete control over the files. 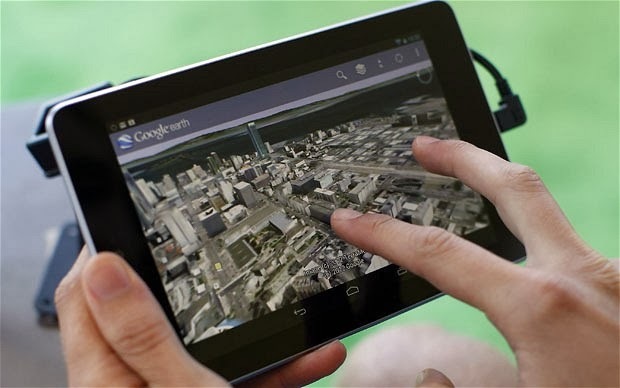 You can load and unload maps at will, and the response is blazing fast (for a tablet). This is easily the best money I ever spent on an app ($10 may seem expensive, but its the same price as the Groundspeak official app, but 100x better). There is also a free version, but I don't know if it does everything. I paid the cash to support the developer). It is the unheralded king of geocaching apps. So that is my new kit. It has worked for me for several trips in the field so far. It has all the advantages of the old laptop based setup (plus some extras) with none of the downsides, and it fits easily in my pack (or pocket, or hand). I did have to drop a few bucks for the apps, but it is well worth it, and it was still less than a years membership at geocaching.com. Well worth it for a rig that should keep me geocaching in style for years to come. Bring on the arboreal occluded tupperware! Note: if anyone has any questions about how to set up their own rig like this one, drop me a line and I'll do my best to help out.